Dorene Quinn is a sculptor and installation artist who uses materials gathered from nature to create projects in response to the sites and landscapes. Her laboriously crafted objects and projects a created to integrate her presence as a human in nature. Gathering and collecting materials forces her to fully experience the environments that surround her. 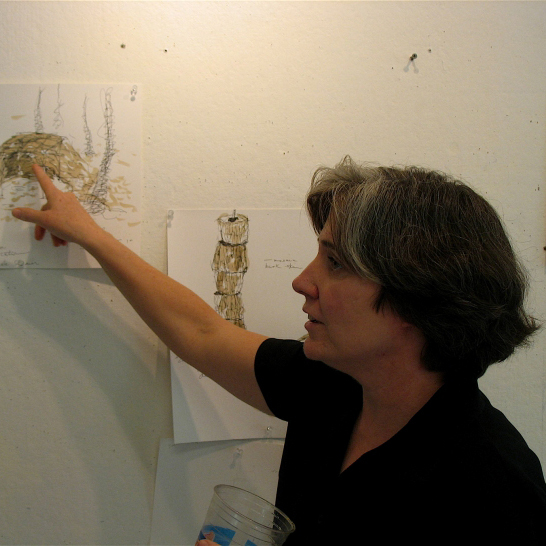 Quinn holds B.F.A degree from Pacific Northwest College of Art and a M.F.A from Alfred University. She works as an adjunct professor of sculpture at Syracuse University and is the Co-founder/Co-director of the Talent:Agency Visual Art Portfolio Development Program for Teens. Quinn currently resides in Syracuse, NY.